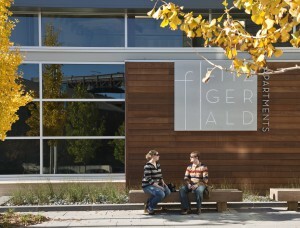 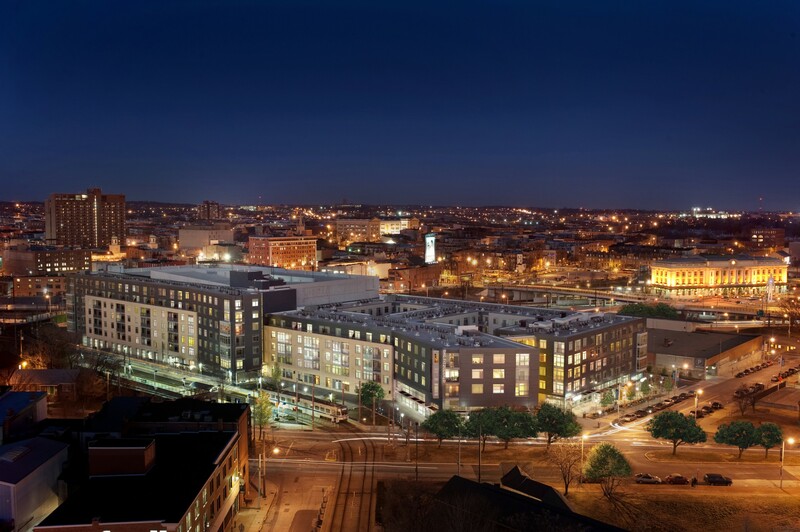 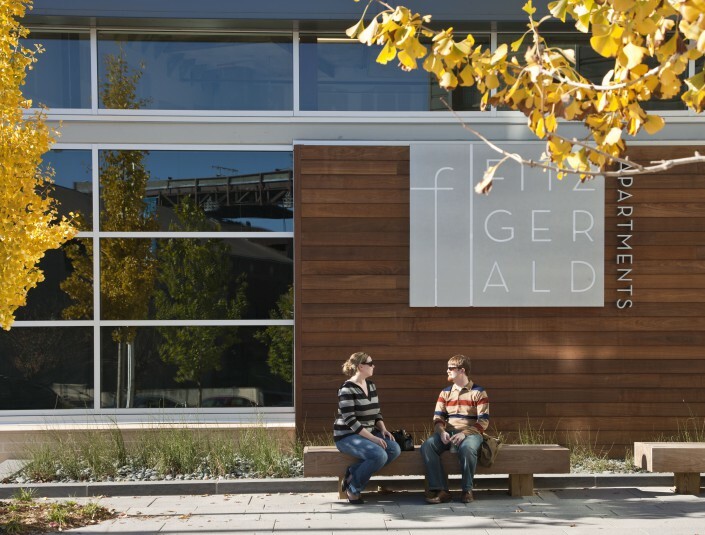 Located at the confluence of Baltimore's transit and cultural history, the Fitzgerald engages the urban fabric and the specificity of place. 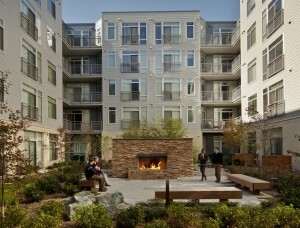 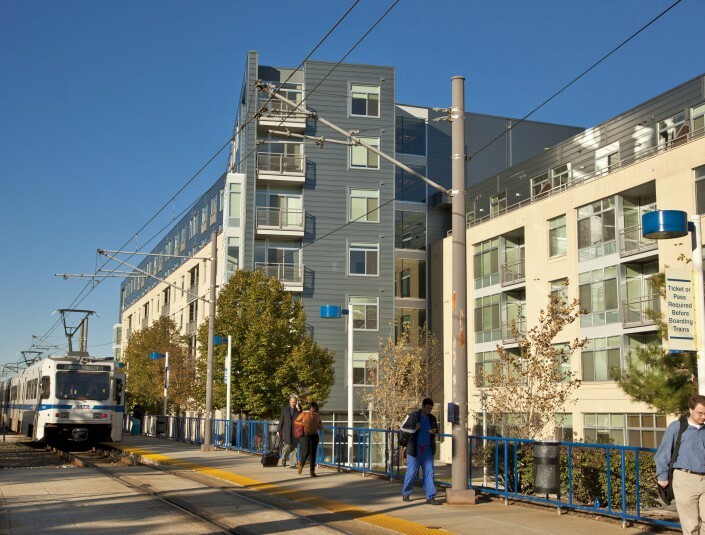 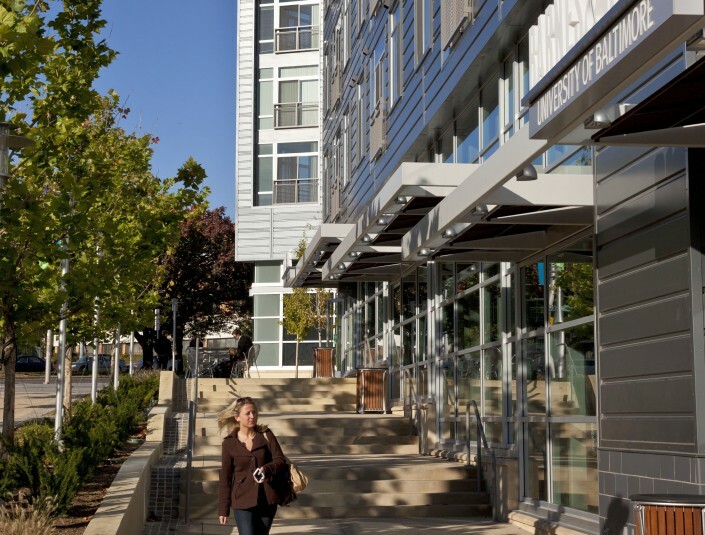 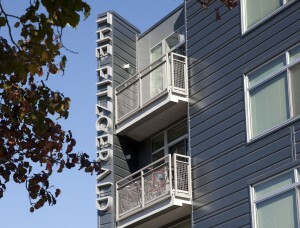 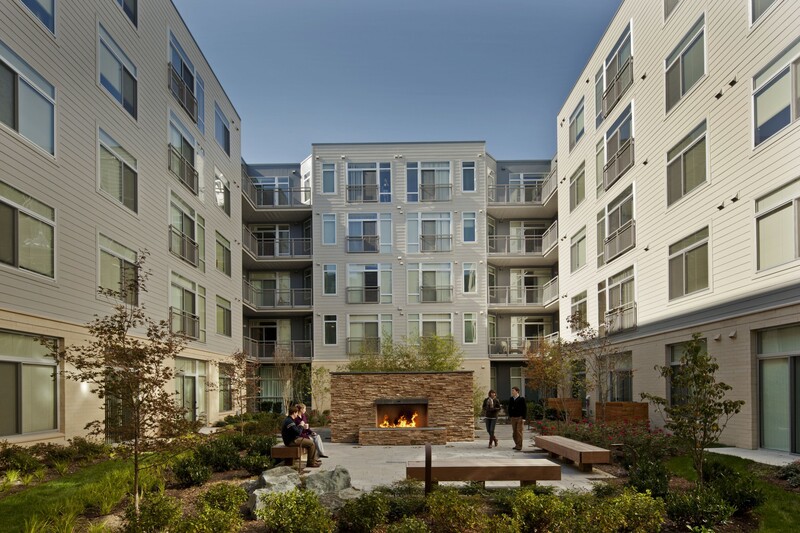 On a 4.6-acre site bordered by a light rail station, two freight lines, regional Penn Station, and a six-lane interstate, “The Fitz” transforms a brownfield parking lot into a transit-oriented mixed-use community. 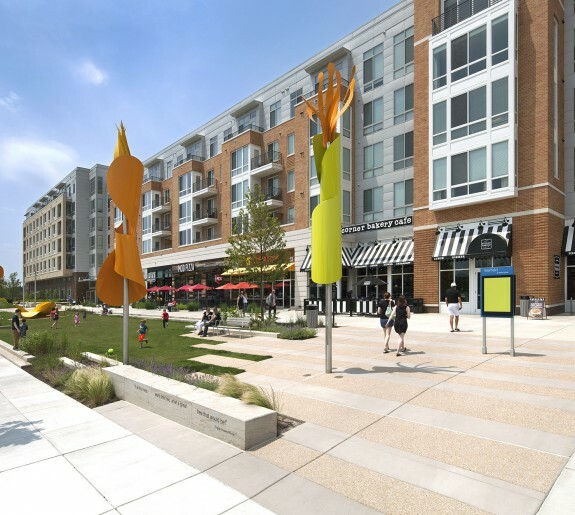 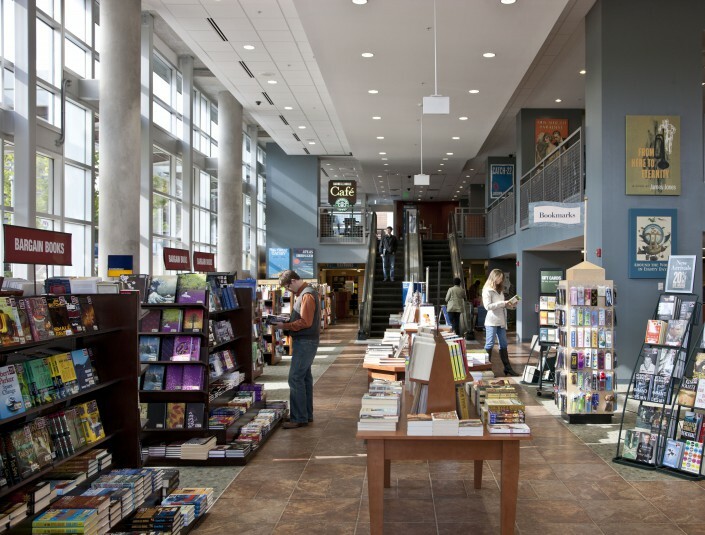 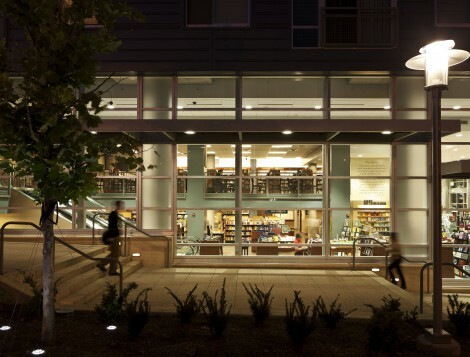 With 25,000 square feet of retail, 275 Class A apartments, and a campus/public parking garage, this public/private partnership connects the community to culture, region, and environment. Informed by the collision of street grids and a web of kinetic infrastructure, the Fitz creates a link between adjacent campuses for the Maryland Institute College of Art and The University of Baltimore. 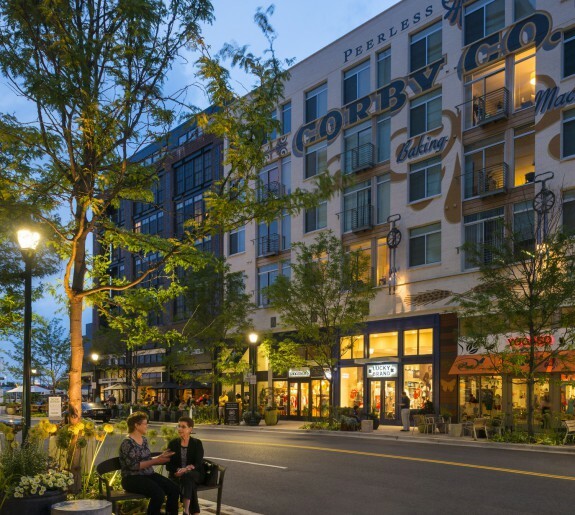 Program and site opportunities render massing that deflects and reveals to strengthen street vitality, respond to context, and inspire the human spirit. 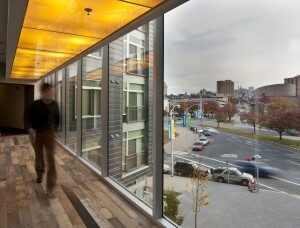 A four-story glass bridge at the entry plaza sets the stage for a dialogue between public and private. Lighter metal panel planes “float” above fully-glazed retail areas, while heavier, grounded masonry planes reflect the privacy of residential areas. Fronting the adjacent Mount Royal Light Rail station, the building’s form steps back and opens up to manifest an arts plaza with a secondary entry. 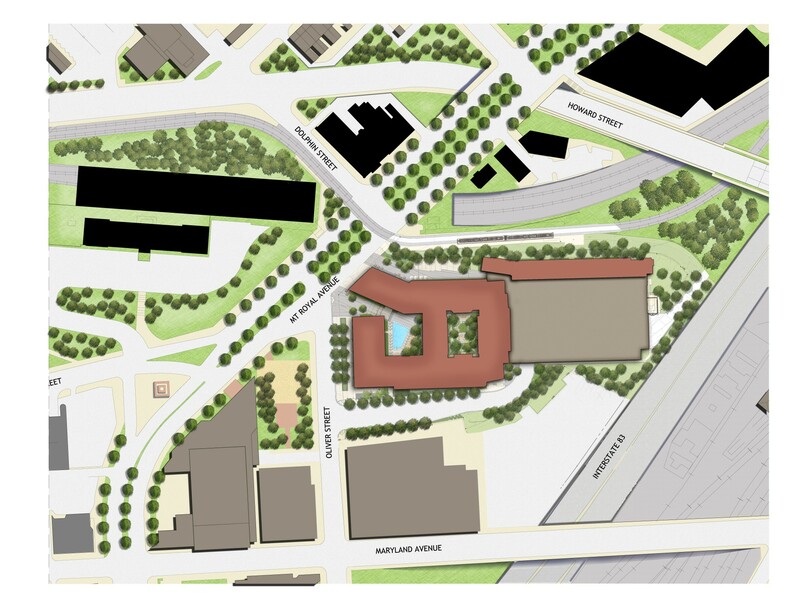 The main entry plaza on Mount Royal Avenue and streetscape along Oliver Street encourage socializing, walking, and cycling to the adjacent colleges, Penn Station, and nearby subway stop. 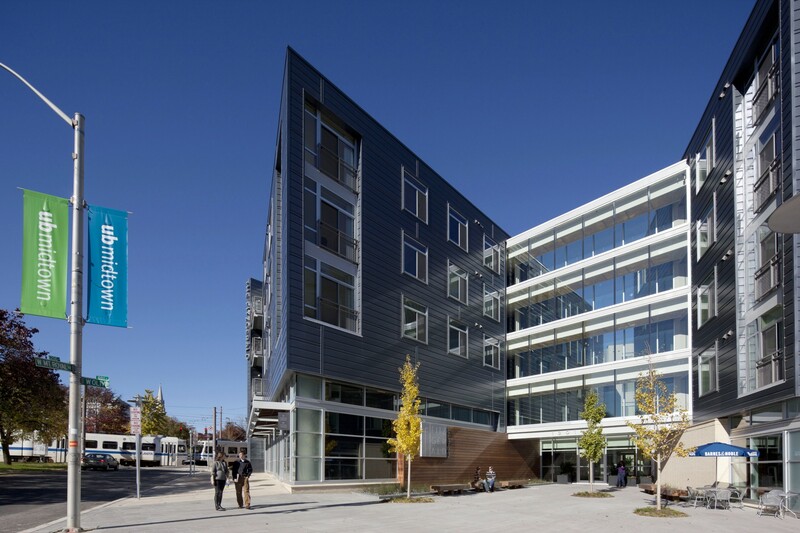 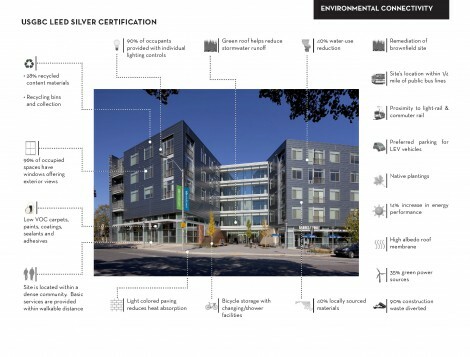 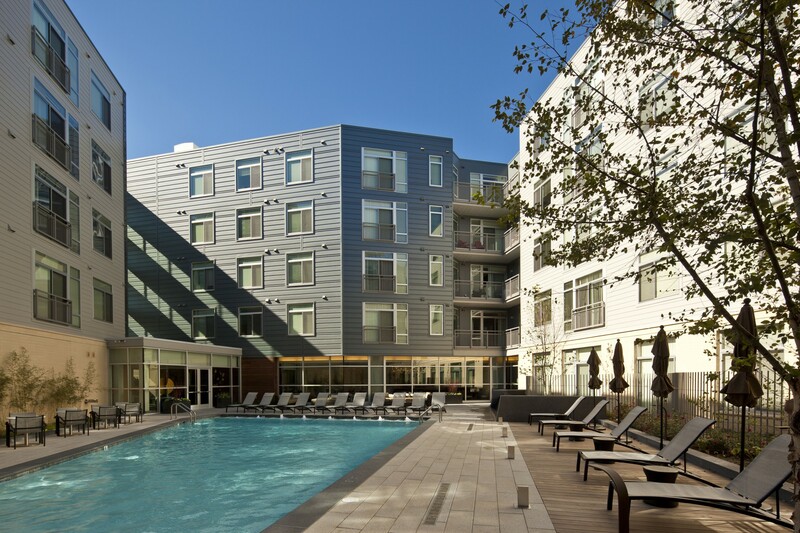 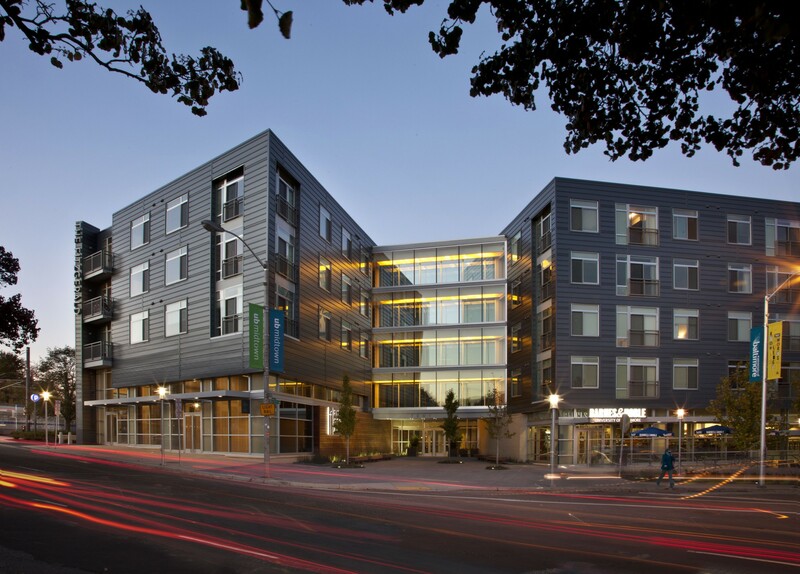 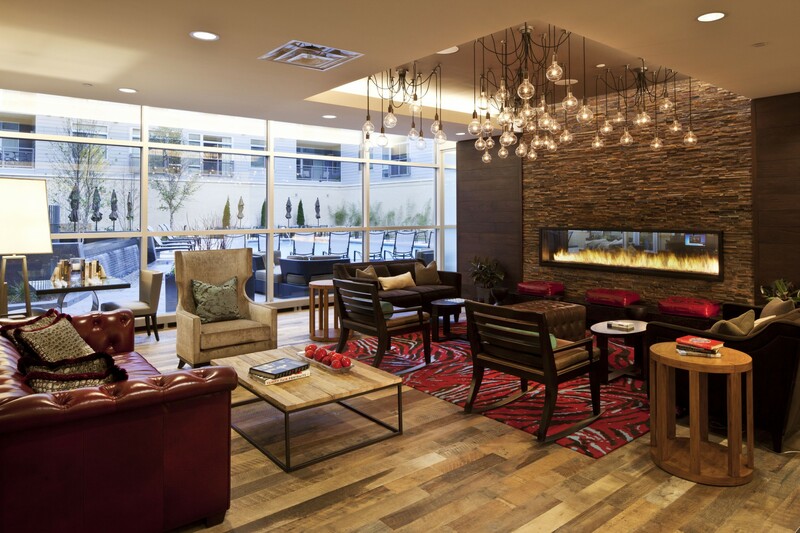 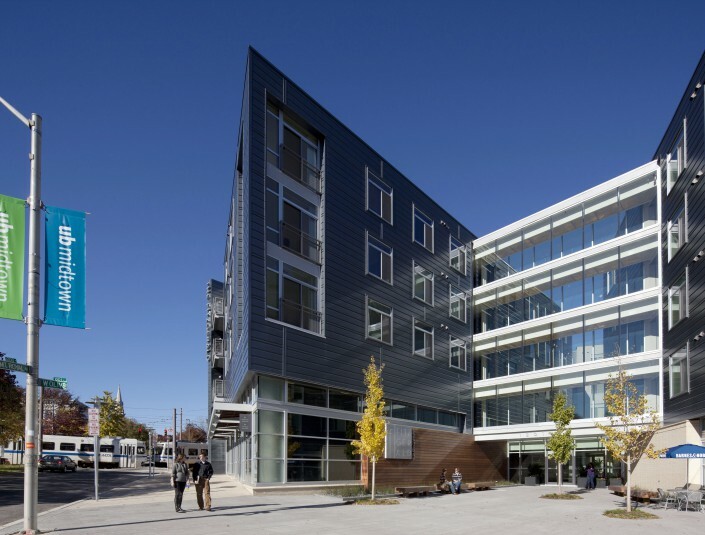 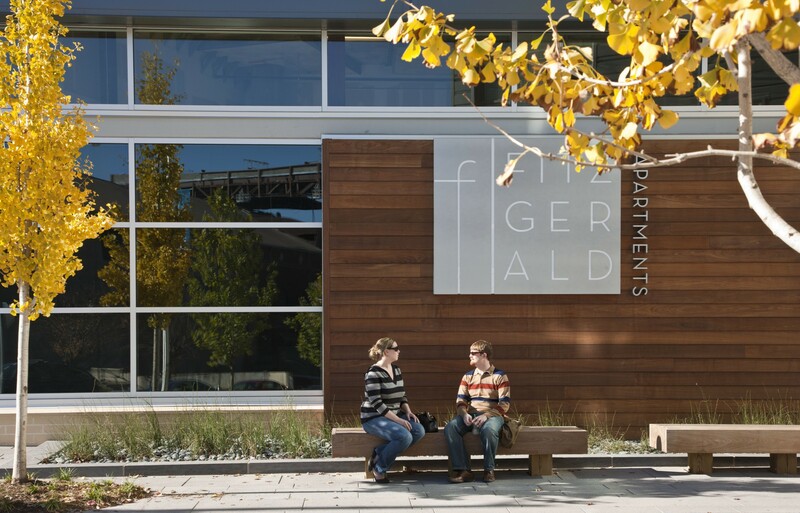 Recognizing the imperative for sustainable design, the Fitzgerald achieved LEED Silver certification through strategic siting, material selection, energy/water conservation, and construction waste management, among other strategies. 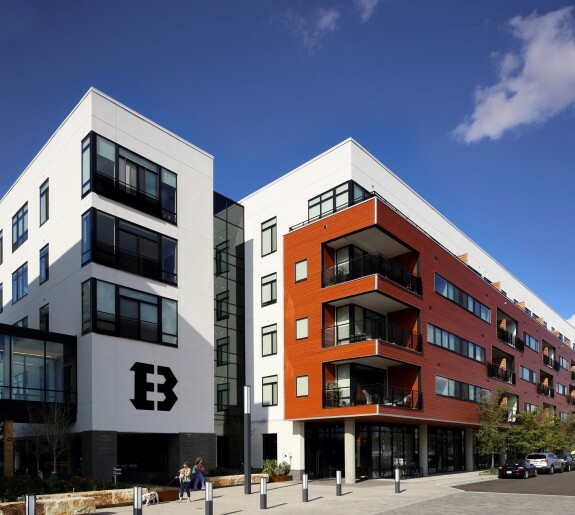 Once a rail yard, a tire re-treading company, and then an impervious parking lot, this brownfield site is now a didactic tool exemplifying responsible urban living through form and function.